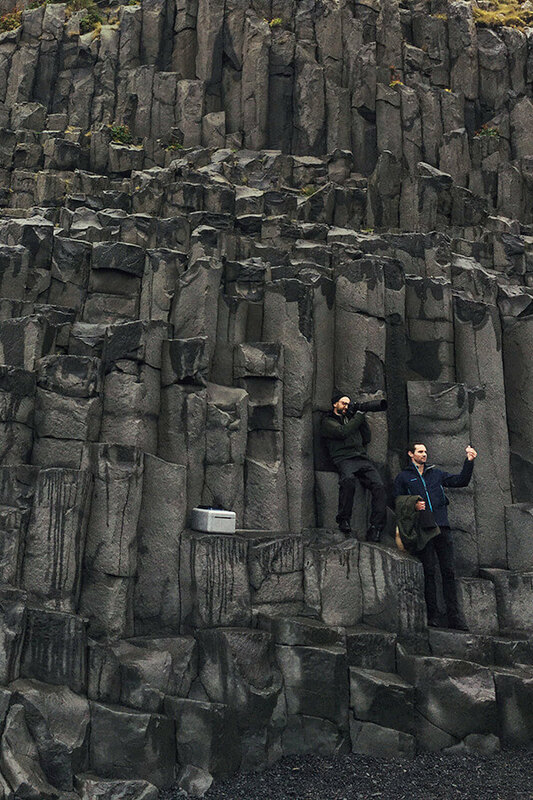 It was roughly a year ago that we decided to base our Fall/Winter 2016 collection on the landscape of Iceland. I’d seen some photos from a friend’s trip and was blown away by the beauty. 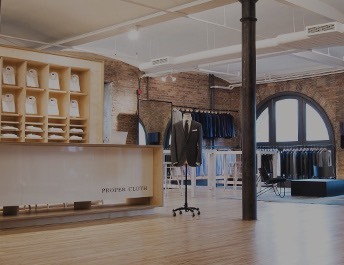 The stark black, charcoal grey, and navy color tones, with highlights of iceberg blues and mossy greens, matched the clothing we’ve been moving towards in our designs at Proper Cloth perfectly. All through the summer we worked closely with our fabric mills in Italy, Portugal, and Japan to develop exclusive designs that would explore this color theme even further. Now, a year ago, the idea of going to Iceland to shoot the campaign seemed perhaps too ambitious. We had never left the country for a shoot and the amount of preparation was daunting. Plane tickets, car rentals, accommodations, photo equipment, location scouting without being there—and that was just the tip of the iceberg. But we put it together. 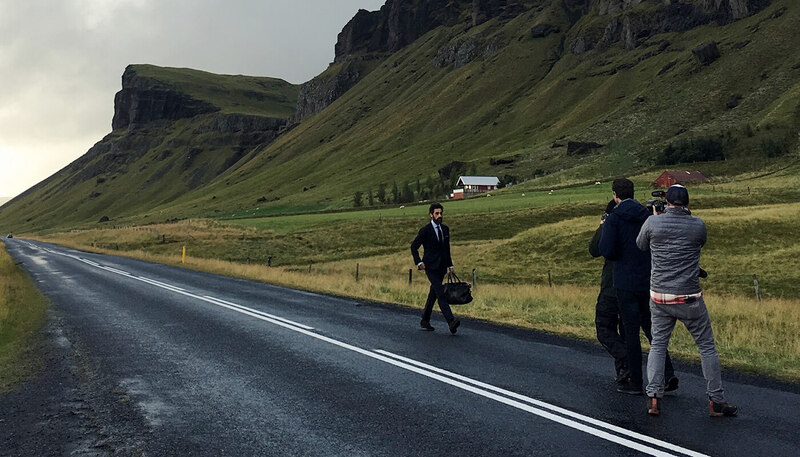 Iceland is a 5-hour flight from New York and far enough north to be cool in September, when we wanted to shoot. It ended up being the perfect location to showcase the layered looks we were launching for fall and winter. 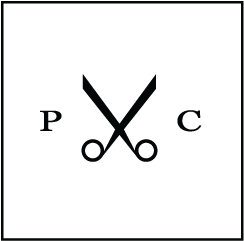 Chris, Harrison, and I have been working together at Proper Cloth for over 5 years now. In that time, we’ve shot well over a dozen campaigns. Our first campaign was done right on the streets of SoHo. Later we graduated to Montauk, and then to upstate New York. With every shoot we’ve learned something new and we’ve always tried to raise the bar for the next one. It’s great working with the same team for years in a row because you build a sense of trust and familiarity, while developing your own internal language for what kind of photo, angle, lighting, outfit or expression you’re going for. Everything starts to work smoothly. For this shoot, though, we brought three new people – an up and coming boutique production company called Compass Coalition. Compass Coalition was recently started by Josh Figgs. Josh and I are old friends, we’d been roommates back in college. But it was serendipitous that we ended up chatting just before the shoot and decided to collaborate on a behind-the-scenes video. I loved the idea of sharing the experience of how we execute a campaign. This trip was a fast-paced adventure that took place over just 48 hours. We started with a red-eye to Reykjavik and immediately drove south to a tiny farming town called Vik. It was pouring rain and things did not look promising. We went location to location in the rain, planning our schedule for the next day. At sunset, we got a small window of sun and shot our first look. The next day we were up at 5:00am. Pitch black. Rain still pouring. Nonetheless, we loaded into the Land Rover and drove through the downpour on the empty roads of Iceland before dawn. Just as the sun began to rise the clouds broke. We were in the clear. It was time to make a lookbook. The rest of the day was non-stop, from one location to the next. Carefully tracking the weather and light, improvising when something didn’t go as expected, and revising our plan again and again along the way. We hiked canyons. We scaled waterfalls. 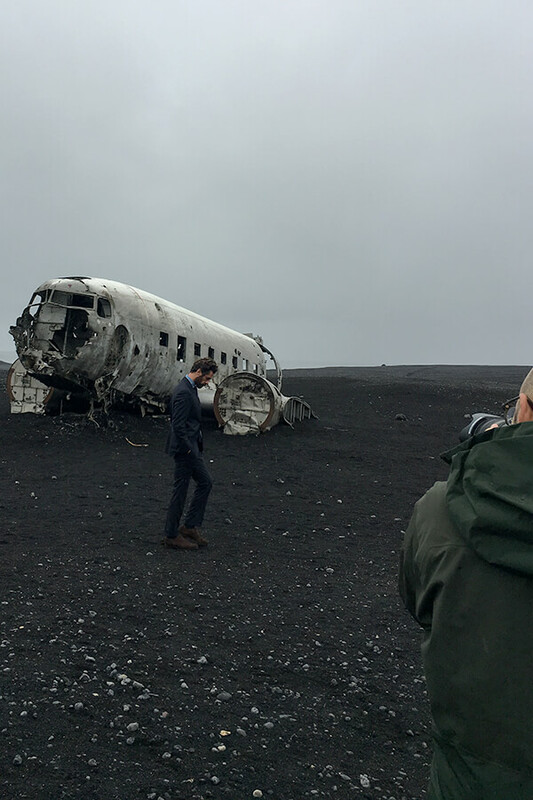 We trudged an hour through black sand to an abandoned plane crash. We had a great time and produced some amazing images. We hope you enjoy.